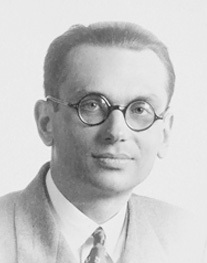 Kurt Gödel was an Austrian-American philosopher and mathematician, and close friend of Einstein in his latter days, who proved that proof has limits. Change becomes possible only through a lapse of time. The existence of an objective lapse of time, however, means that reality consists of an infinity of layers of “now” which come into existence successively.